HERMOSA BEACH, Calif. – The No. 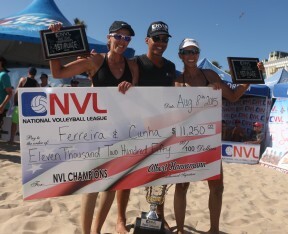 5 seed women’s team of Vivian Cunha & Raquel Goncalves Ferreira took home their third consecutive NVL title, and No. 2 seed Americans Dave Palm & Eric Zaun were the men’s winners at the National Volleyball League West Coast Championships. Cunha/Ferreira defeated No. 3 seed Kim Hildreth (USA) & Karolina Sowala (POL) 21-16, 21-15 in a repeat match-up of the Midwest Championships women’s finals last month in Ohio. Cunha/Ferreira are proving to be the women’s team to beat this season, also taking home the Milwaukee Championships trophy after defeating the number one women’s team, Kristen Batt-Rohr & Pri Piantadosi-Lima. Piotr Marciniak (POL). This is the first title for the pair as a team, previously partnering for the Milwaukee Championships and Midwest Championships. 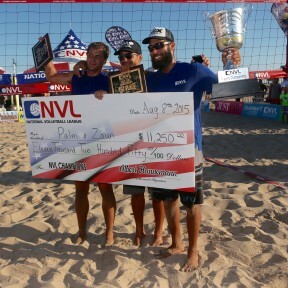 Palm won the 2015 NVL season opener in Panama City Beach, Fla. with then partner, Mike Placek. The tournament was held at the Hermosa Beach pier from August 6-8 and featured top pro beach volleyball players from around the world, including local SoCal pros 2X Olympian Mark Williams, Skyler McCoy, Jon Mesko, Travis Schoonover, Chelsea Hayes, Molly Menard, Jennifer Snyder, Michelle Williams and Alicia Zamparelli-Flavia competing for a $75,000 prize purse. NVL also partnered with Smackfest to host a 4-Man Co-Ed tournament on Saturday. Fans were treated to prizes from Mikasa and Australian Gold throughout the weekend. 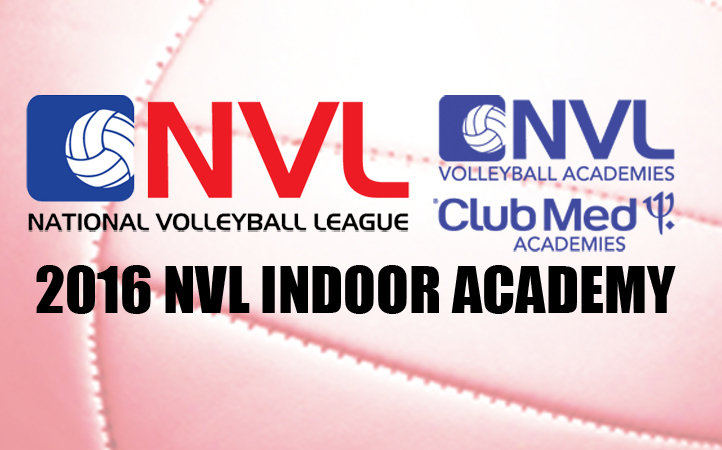 The West Coast Championships center court matches will be available to view free on-demand at the NVL Network.